A Scottish waitress who twerked on top of a smashed-up ambulance after England beat Sweden in the World Cup quarter final will stand trial for criminal damage. 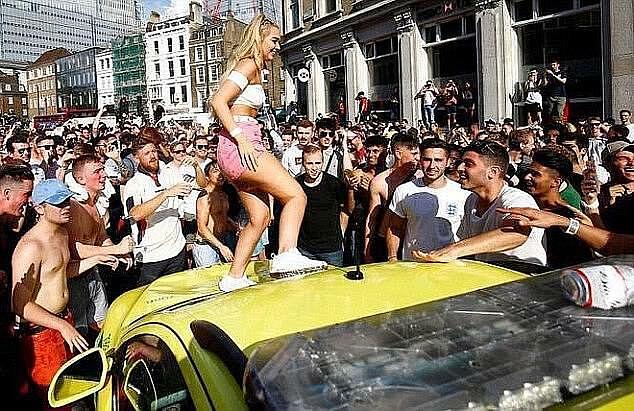 Larissa Bell, 21, of East Kilbride, was filmed dancing on top of the ambulance car near London Bridge station on July 7 as revellers watched on cheering. England had just defeated Sweden 2-0 to go through to the semi finals and Scott Dennett, 25, James Elton, 27, and Kangyue Jian, 26, were in the crowd. The two Englishmen and the Singaporean are accused of cracking the rapid response car’s windscreen and making major dents in the bonnet before Ms Bell climbed on top. 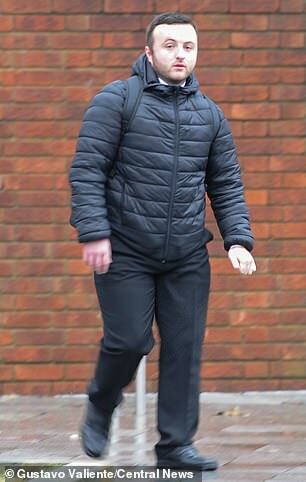 All four appeared at Camberwell Magistrates Court today accused of causing the £6,867.42 in damage, which left the vehicle out of service for 34 days. 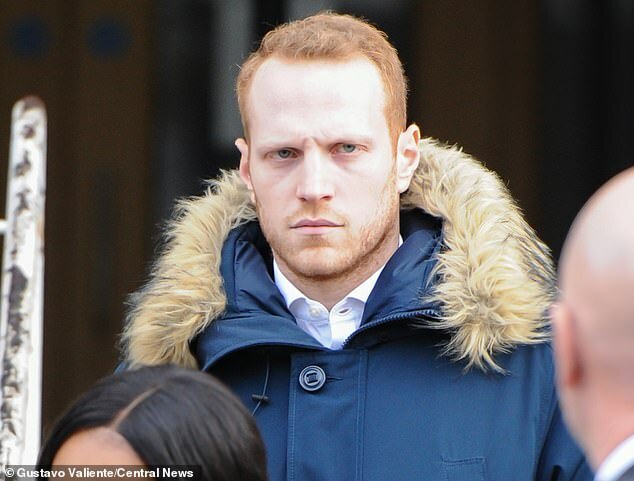 Bell and Dennett did not indicate pleas during the 15-minute hearing, while Elton and Jian both admitted their crimes. Ambulance bosses claimed the vandalism ‘put a dampener’ on the World Cup celebrations. But football fans rallied to raise cash for the repairs, with Millwall supporters pulling together £10,000 alone. A Skoda dealership also offered to repair the vehicle free-of-charge, so the money raised went towards restoring a historic ambulance instead. Chair of the bench Finola Gowers bailed the four to appear at Inner London Crown Court on January 8.